One of the most gratifying aspects of this job is to see programs and legislation that I advocated for in Boston directly impact the lives of my constituents here in Holyoke. Just this past week, I had three such opportunities. Each one underscored for me why I love this job. Last Tuesday, I visited Sullivan School, where Local Laborers 96 are at work creating a new play space. I already knew several members of the construction crew. They are graduates of a program targeting chronically unemployed youth where labor unions are partnering with government agencies and schools to provide job training and careers. Over the past year, I have visited them while they were training at Heritage State Park and attended their graduation from the program. They are now union apprentices on their way to stable and fulfilling careers. I visited two programs last Wednesday. One is helping girls just starting to think about their futures and another is helping troubled veterans get on with theirs. 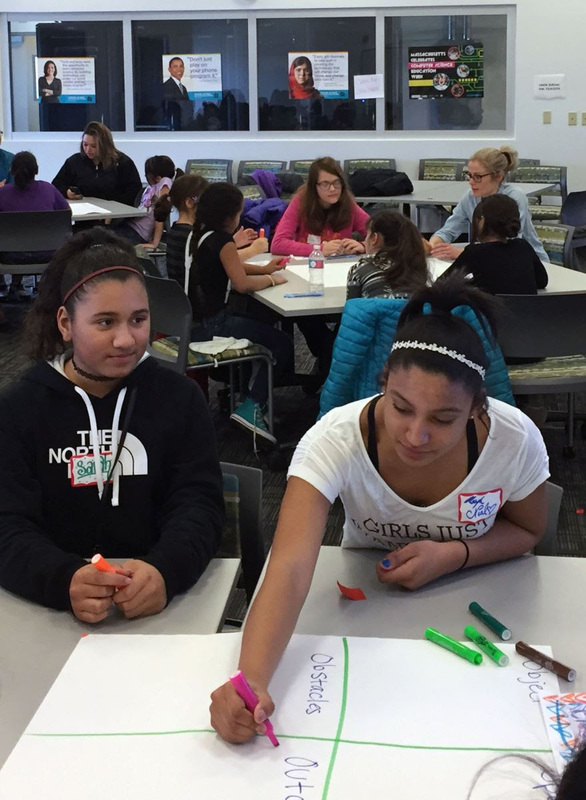 Girls, Inc. and Holyoke Codes have created a program called “She’s Got Game.” This week, teenage girls spent their school vacation week creating video games. They learned how to work with and create computer code, setting them up for the workforce of the future. Later that afternoon, I was at Holyoke District Court. In the lastlegislative session, we passed a bill setting up a Veterans Treatment Court. This court monitors the probation sentences of veterans. The District Attorney and the veteran have to come to an agreement over a probationary sentence. All concerned have come to see that these crimes are largely driven by troubles adjusting to post-military life, including serious cases of PTSD. Agencies like Soldier On provide mentors who monitor the probation alongside the traditional officers of the court system. They meet and report in to Veterans Court here in Holyoke District Court weekly. I visited last Wednesday’s session and had the opportunity to speak with a few of vets. They were clearly grateful and motivated by the support being provided them, support that is the very least that we as a society owe them. In the legislature, we research and debate thousands of different bills and programs in order to help our constituents and our Commonwealth. I am very proud of these three examples that not only serve the individuals involved but clearly make for a better community by creating productive citizens.